There's some wines that let you travel back in time. 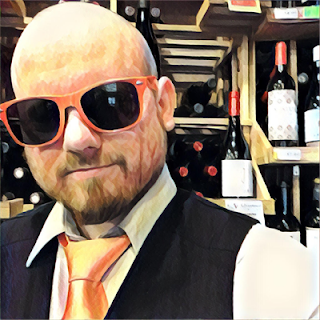 And even though (until Louis Pasteur came around) wine was more like an alcoholic vinegar than as we know it today, there can be a deep tradition and history and sometimes you can just sense it. 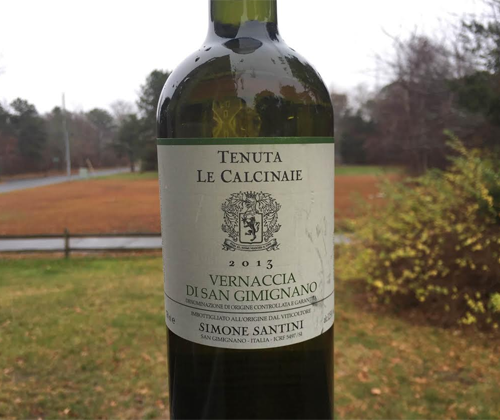 The Vernaccia variety has been made into wine in the Tuscan town of San Gimignano since seemingly forever, and it's one of the most ancient wines we know of. Pope Martin IV would drown eels in Vernaccia and eat them, washing them down with the wine. Yum yum. It's probably impossible to have a label more classy and traditional looking than Le Calcinaie. It looks like they've been doing this for a few centuries. But even with San Gimignano's long history as a wine region, the first vineyard of Le Calcinaie wasn't planted until 1986. It's a small winery and looks more like a house than a wine estate. They've been certified organic since 1995. It's got a pale gold color. Aromas of lemon peel, lime juice, black licorice and quite a bit of crushed stone are on the nose. Flavors of canary melon, pear, and lemon are on the palate. Acidity is high, it's medium bodied with a creamy mouth feel on the midpalate, and it finishes crisp with red apple. It's a nice Vernaccia on its own but it probably rocks with Italian seafood dishes.